One of the most distinctive talents in Czech literature of recent years, she was awarded the Jiří Orten Award for her debut work. She was born in Vysoké Mýto on 31 March 1982 and now lives in Prague. She studied at the Evangelical Theological Seminary and at the Josef Škvorecký Literary Academy. 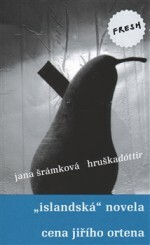 Her debut novel Hruškadóttir (Peardóttir) was a product of her Academy work under the guidance of author Daniela Fischerová. She also writes for children and publishes in cultural magazines. A personal confession, diary, mourning for the death of a grandmother, memories of the tastes and smells and images of childhood, which are being lost along with the way the place, the town, the house are changing. 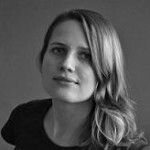 Jana Šrámková’s new book is lyrical, modest, open and personal. It is called Background and it is pervaded by fear and reconciliation. The novella Peardóttir from 2009 was warmly received by both readers and critics alike. “The idea behind it came from the Book of Job in the Old Testament. I was thinking that all of the catastrophes which afflicted Job also affected the people around him. They invest time and interest in his suffering and they experience it with him. And at the end, all of them are condemned for not helping him in an ideal enough way,” said the author about the basis for her first novel. The narrator is Veronika, a student of Scandinavian studies, who is “adopted” by her friend Madla’s ideal family. The father, Šimon, is suffering and trying to cope with a cruel loss in life, and Veronika is his guide. As a generation younger she comes in between Šimon and his wife, she herself feels the absence of her own father who before disappearing from her life planted a pear tree, she is the daughter of Pear, hence Peardóttir. The panel for the Jiří Orten Award, which awarded the young author the 2009 prize for Peardóttir, justified their decision as follows: “It is a stylistically pure, thematically original non-literal narrative.” The book’s strength is in the strength of its composition and in the signs which describe the characters’ fates. 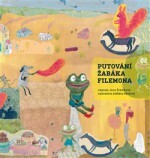 One year later she published the children’s story Putování žabáka Filemona (The Travels of Philemon the Frog, with illustrations by Alžběta Skálová and published again by Labyrint), a story about a cuddly toy which, according to the tag from the manufacturers, is looking for a home. 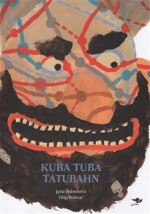 In 2014 two short children’s stories, O panáčkovi and Kolala petřínská (About a Puppet and The Petřín Kolala) were published as Mikroliška editions by Běžíliška publishers. In 2013 Fra publishers brought out Šrámková’s second novel Zázemí (Background), in which she reminisces about her grandmother and childhood in Vysoké Mýto. The home as a place, as a background, is important for the story, although the narrative once more consists of fragments of memories. The life of the author/narrator is equally as important as that of the grandmother. It is in the flashbacks to her everyday concerns that her memories surface. Jana Šrámková has written for the magazines Brána, Respekt and A2. She also writes for Czech Radio. She has three children.